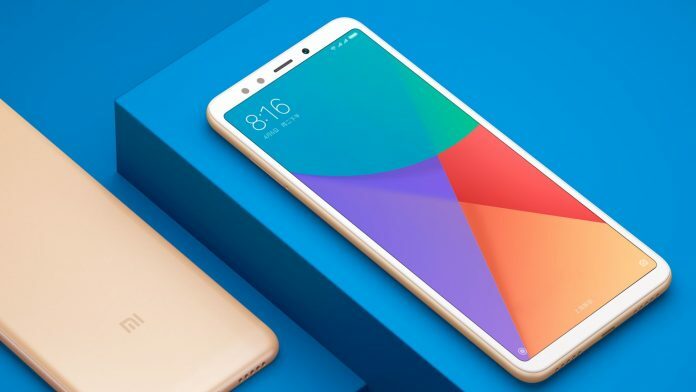 Xiaomi's Redmi Note-4 was launched in India in January of 2017, which has broken records of sales all year round. Now, the next variant of the same smartphone, the Redmi Note 4 of MI, is now preparing to make the Note-5. Yes, this smartphone is likely to be launched in India this month soon. So far, there have been reports of several leaks regarding the Note 5, in which many claims were made regarding the launch and specifications of the phone, but according to the latest news, the Redmi Note-5 may be launched in January next month. 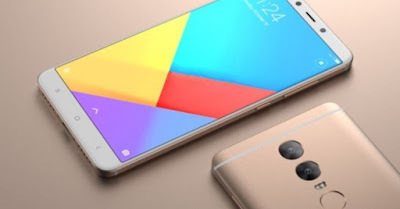 According to the news, in this phone you will see considerable changes from the Radmi Note 4 and the display will be 5.9 inches full HD in the phone. If it is a processor, then you will get Snapdragon 630 processor and 4 GB RAM in the phone. On the other hand, there are 2 variants in it, in which one will have 32 GB of ROM with 3 GB of RAM, while the other will get 64 GB ROM with 4 GB RAM. Talking about the phone's camera, you will get a 16+ 5 megapixel dual camera in the rear side of the phone. You can get a 12 megapixel camera for selfie. 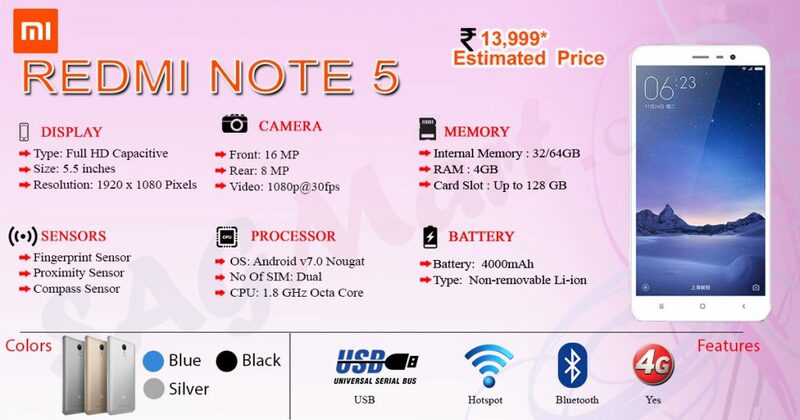 Note-5 is claiming to have a battery of 4000mAh. Xiaomi can launch this phone in India for Rs. 12,000, which can be said little by looking at its features.